In the four-year history of MTV's Musical March Madness tournament, the Midwest Region has played host to a bevy of high-powered bands — the Foo Fighters, Metallica, the Black Keys and, uh, Nickelback, to name just a few — who have battled their way through the bracket ... only to ultimately fail in their quest for the championship. In fact, the Midwest is the only region not to produce a champion ... but now that the 2013 MMM tournament is officially underway, this might be the year that changes. Because from top to bottom, the region is loaded with talent; and if any band can unseat Tokio Hotel as champions they may very well come from the Mighty Midwest. So with voting now open in all first-round matchups — polls close Monday, March 25 at noon ET — we here at MMM HQ are breaking down the full field of 64 bands competing for the crown ... and we're starting with the Midwest, where someday, surely, a champion will arise. The Black Keys head into the tournament as the Midwest's #1 seed, and they've definitely got a Justin-Bieber sized chip on their shoulders: After all, they were the region's top seed last year, too ... and they promptly lost in the opening round to AWOLNATION. In fact, in their two previous times in the tourney, they've never made it past the round of 32, a trend they'll look to reverse in 2013. Of course, after one day of voting, they're getting all they can handle from upset-minded 16-seed Twenty One Pilots, which shows that, sadly, history may repeat itself once again. Though they're just re-starting their engines, the Foo Fighters are the Midwest's second seed (the selection committee liked Dave Grohl'sstrength of schedule), and after previous tournament shortcomings — they too have never made it beyond the round of 32 — they're off to a strong start against #15 Walk The Moon, leading by a large margin. The same can't be said about three-seeds the Lumineers, who are on early upset alert thanks to a strong first-day showing by #14 Bullet For My Valentine, and #4 Gotye, who is currently getting pasted by #13 the Smashing Pumpkins. Last week, recently-reunited Fall Out Boy let it be known that theythought the 2013 tournament was theirs to win, and so far, they're backing up that talk (and the #5 seed the selection committee stuck them with), dominating their first-round matchup with #12 Of Monsters And Men. Can they make it all the way to the championship game? The only thing standing in their way is a potential Sweet 16 showdown with MMM veterans (and #8 seed this year) My Chemical Romance, the only band in tourney history to make three consecutive Final Four appearances. If form holds, we're gonna have one dandy of a matchup. Elsewhere in the Midwest, #6 AWOLNATION battles #11 Alice in Chains, and right now, it's looking like upset city, as AIC holds a commanding lead, and Trent Reznor goes head to head with himself, as Nine Inch Nails take on How To Destroy Angels (NIN is hammering HTDA, for those keeping score at home). Can either of them knock off the higher seeds and win it all? 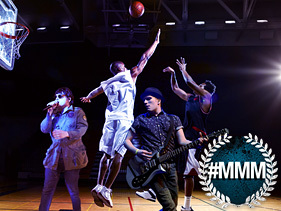 Hey, stranger things have happened in MMM ... just not a band from the Midwest taking the title. Not yet, anyway.